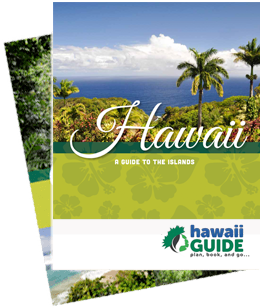 Hanapepe is located on Kauai’s South Shore west of Koloa, and boasts great shopping. The streets are lined with galleries, stores, and restaurants with something to please the most discriminating shoppers. Situated south-east of Waimea town, Hanapepe is about an hour drive to Kokee State Park and Waimea Canyon. Hanapepe means “crushed bay”; apparently named because of landslides in the valley. The native people of Hawaii inhabited the fertile valley of Hanapepe for centuries before Captain Cook arrived in 1778. Many foods such as banana, sugar cane, and sweet potato were grown in the valley. In addition to growing taro, from which “poi” is made, the early Hawaiians cultivated salt in saltwater ponds to trade with sailors. Salt trading was the earliest entrepreneurial legacy of Hanapepe. The right to harvest salt, handed down through families, continues today. The town itself was formed by Chinese rice farmers, and once flourished as one of Kauai’s largest communities. In the 1880’s, the sugar industry brought many entrepreneurial immigrants to the islands. Many who retired or were on strike from the sugar plantations came to Hanapepe to grow taro, rice, or to begin small farms or businesses to serve the local community. In the 1820's missionaries arrived in the Hawaiian Islands and by the turn of the century there were close to a dozen different churches of many denominations established in the area. Parts of Hanapepe town are reminiscent of the American West, because much of the town was built by the same source of carpenters and architects: the imported skilled labor from Asia. The town was primarily populated by these adventurous Asian immigrants at the turn of the 20th century. They built clinics and hospitals, movie theaters and pool halls, churches and temples, hotels and homes. Hanapepe became a bustling town in the 1930's and World War II years when it was named “Kauai's Biggest Little Town”. Soldiers stationed at the Army installation came for rest and relaxation. The town offered bars, restaurants, bowling alleys, and even two rollerskating rinks. Annual parades drew people from other parts of the island and popular entertainers were featured. A decline of the town began in the 70’s and 80’s, and 1992’s Hurricane Iniki landed a blow to the place. However, Hanapepe’s historic buildings were rebuilt and today the town has come alive again with local eateries, quaint art galleries, bookstores and artisan shops. Its plantation style structures have become a choice location for movie makers with such films as The Thornbirds, as well as being the hometown of Lilo and Stitch, Disney's popular animated children's movie. Hanapepe boasts more fine art galleries than any other town on Kauai. This is celebrated each Friday night with a special Hanapepe Art Night from 6-9pm, as painters, sculptors and craftspeople open the doors of their galleries and studios, while market stalls, live music, and other street entertainment make for a lively and not-to-be-missed experience. If you do land in Hanapepe, check out the swinging bridge – this was rebuilt following the hurricane. The town is located at mile marker 17 on highway 50. Don't miss the stunning overlook before you reach town (coming from east side Kauai) at mile marker 14. Kauai's West Coast can feel a bit like a different world in many ways. Here, stunning natural wonders and historic sites combine for a unique sightseeing experience. Looking for a breathtaking view? There are plenty to choose from. Parks and hiking trails? Check. Historic monuments and the chance to stroll a swinging bridge? Cross those off, too. Check out some of these popular West Kauai sights.